Credit is king in a challenging economy. At the top of the to-do list of all families and most small business owners today is how to improve credit AND cash flow. I feel like a doctor more and more these days diagnosing and providing treatment for credit problems that often threaten your family’s peace of mind and/or the health of your business. Increased fees, higher interest rates, tighter bank lending policies with larger down payments and hand-tying restrictions – there are many reasons why bad credit can and does hurt. As a skilled listener with a proven track record of service and wealth of experience including PE and VC corporate financing and creative financing for the self-employed, I know better than anyone the improvement of your quality of life after having good credit so I’m looking forward to working with you to improve your access to capital and credit. Details on our website Stop Leasing Start Living Seminar. For the past several years and more than 200 clients, Willis Hunt has been dedicated to putting all his efforts in helping people restore their buying power. By examining clientsÕ credit reports and putting together a custom strategy for his team to remove negative, inaccurate, erroneous, obsolete, or incomplete accounts with the creditors, every collection agency, and all three credit bureaus we are able to help most of our clients who have been initially turned down to become home owners. Credit cannot be fixed overnight, but big changes can be made in just a matter of weeks. We make sure that all of our clients know how long it will take and what all the costs are well in advance before we even get started. On top of that, for your total peace of mind, we offer a money-back guarantee to all our clients. Call or text me now at 972-984-5144 or enter your name and phone number at the top of this page for your free no obligation credit reports analysis. Subject: Thank you for giving me a 2nd chance! Let me first start off by saying how grateful I am after viewing my records along with the current results and the reports that continue to show what has been taken off and the awesome work you all have been doing. I truly want to also thank you for your patience and showing you truly care about not only helping me fix my credit but also showing how much you care about me as a client. Thank you for your professionalism and productive service you all have provided and continue to provide. I am so GRATEFUL I attended your seminar early this year because this life changing event of having better credit wouldn’t of happened if I didn’t go like I initially planned not to. I would highly recommend this company to all my family and friends who want to fix their credit too. I am truly a satisfied customer and look forward to purchasing my new home by the end of this year thanks to you and your team at RMCN Credit Services. Have a wonderful and blessed day. I wanted to say THANK YOU for taking the time to talk to me during your busy schedule here in San Antonio at the school event and Lisa it was a pleasure meeting you. I know you mentioned Mr. Willis that you would like into my profile and see how things are going. If you or Lisa can let me know, I would really appreciate it. You both have a blessed day. Hope you had a great weekend and a safe trip back home. And thank you so much for the information at the seminar Saturday. I am so HAPPY I went. Stay blessed. Subject: Re: Casey, congratulations on completing our program! Willis- Thank You!! Because of your, and your team’s, efforts, I am closing on a house in a week!! I’m writing this letter to let you know that Willis Hunt is doing an excellent job. When I first started this program with him my credit score was in the low 500’s. I’m in the process of trying to get a loan for a house. This company has fought to have items removed that should have been off. Willis makes calls to me to check to see if I have any questions about my credit report and he also makes sure I send the information creditors send me to him. He is a delight to have working on my report. I’m glad I got him on the line when I first called because he answers my questions in a timely manner and returns all my calls. This program is working great. I see changes from when I first started, my score is currently 670. Again thank you for having such a dedicated employee on your team. In 2009 the bottom fell from beneath my family. My husband and I lost everything. Our home was wrongfully foreclosed upon leaving us without anywhere to live. As we scrambled to find someone who would lease to us we were fortunate to begin a new life. For the next several years my husband and I tried everything to re-establish credit and put the pieces of our shattered lives back together. It wasn’t until July 2012 when we made a phone call to RMCN and spoke with Willis Hunt that we were able to see the silver lining beyond the charcoal gray clouds. Willis has been extremely tenacious and instrumental in assisting us with our credit restoration. He’s been by our side. For an entire year, Willis has checked in on us every Friday. Friday was pretty much a date night between us and Willis. He has not only been there as a professional making sure to stay on top of everything, he has been an inspiration to us. Not only has he provided us with so many resources, too many to name, he’s also took risk on us by calling in favors. With our very unique credit situation we’ve had so many obstacles along the way. However, Willis has basically held our hand every step of the way often times shaking us back to reality when the going really got tough. When everyone said that there was no way we could fix our credit and we wanted to give up Willis was there to be a reality check for us, ensuring us that we were making steps in the right direction. It brings me to tears knowing where we started from and how far we’ve come. Willis never gave up on us. Not only is he a credit professional he’s become a friend. Now we’re at the finish line of our credit restoration and Willis Hunt is there cheering us on handing to us what was once our mangled credit but is now credit restored. Thank you so much Willis for never giving up on us! 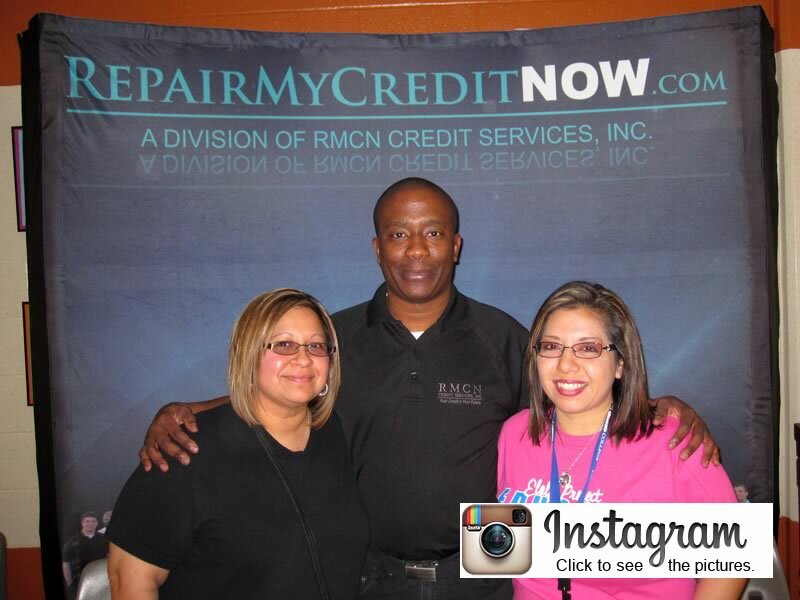 I joined RMCN in July 2012 because my credit score was in the high 500’s and low 600’s. I could not get my home refinanced or buy anything on credit with my score’s. RMCN went to work right away on my Credit Report and started working on getting some things off my report that was really hurting my score. Mr Willis Hunt was the person I worked with and he immediately called me and welcomed me to the Family of RMCN. Willis contacted me every Friday for the six month period to see how things were going. After going through the six month program with RMCN my credit report was cleaned up and my scores were 702, 672 and 656 respectively. I highly recommend RMCN to anyone that has had credit problems in the past. The people at RMCN take very good care of you and treat you like Family. Now I can get my home refied and buy that new boat I been wanting. Thank You RMCN. I am writing to discuss one of your current employees. I have recently been in touch with Mr. Hunt. He reached out to me for the El Paso, Texas market. 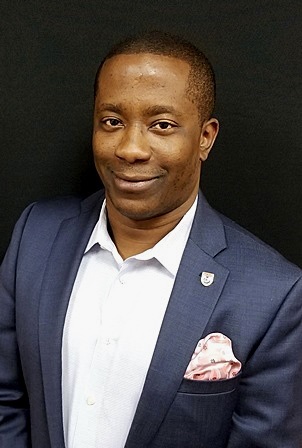 I must admit, this gentleman has been exceptional in his follow up and approach to trying to keep me, as the loan officer, informed about the process and what your company has to offer to my borrowers who do not qualify at the moment. As somebody who has owned and managed companies prior to my current position, I felt the need to express my complete and total satisfaction with your employee. Although I feel the pricing is a bit high, it has not stopped me from sending out his contact information to potential clients, friends and family. I cannot guarantee any of these potential leads for your company will come through, but I guarantee as long as Mr. Hunt is at RMCN, I will keep trying my hardest to send him business. Our market sees many potential borrowers turned away due to credit hiccups. Thank you in advance for your time and attention to this email. Mr. Hunt has been and still is a wonderful asset to my business, with his help several of my clients achieve their goal. Everyone has spoken highly of him and to my understanding he has received several referrals from my clients because of his wonderful follow ups. Thank you again for the wonderful service and for following up with me.